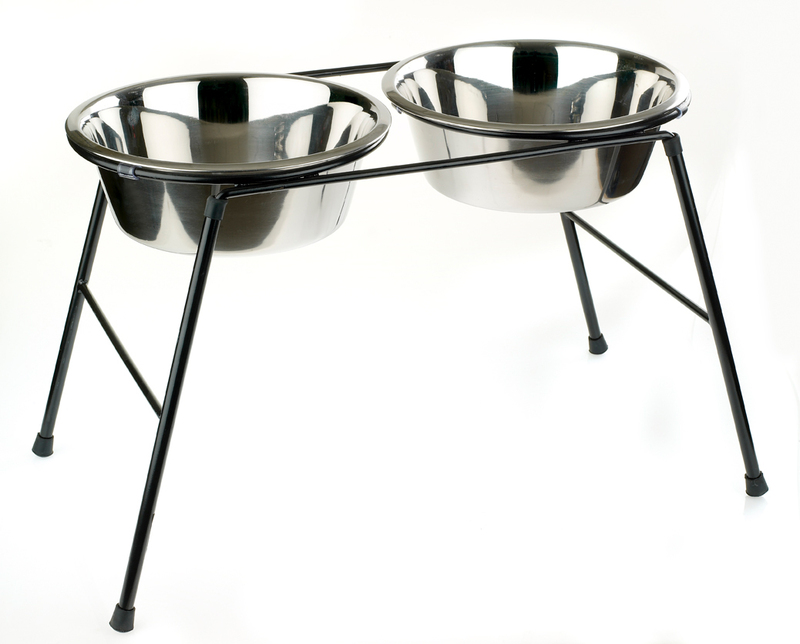 Raised bowl stand for large dogs. Finished in matt black. Sturdy construction. Includes two large stainless steel bowls with 2.5 litre or 4 litre capacity.